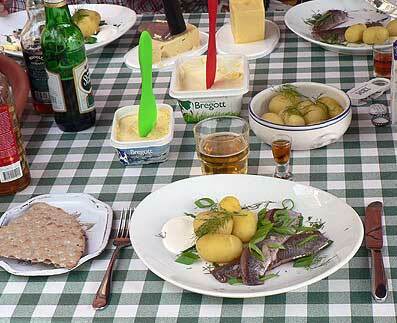 On travels you often taste food you like and want to cook back home in your own kitchen for friends and family. 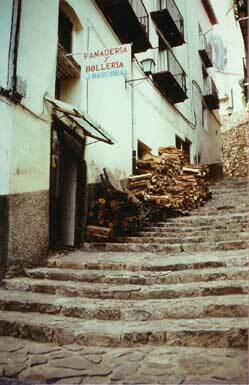 Sometimes the ingredients are available in the store at the corner, but if not, with the help of a good cookery book and your own skill you can change the recipes – and – bibbedy bobbedy boo – a new dish with a touch of Italy, France, Sweden, Norway, Spain, or wherever you spent the vacation, is born! And all the honours to you! 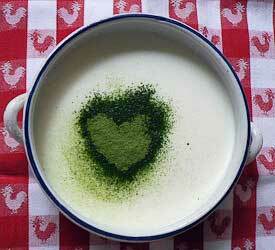 Here are some links to some useful and good Sites with lots of recipes and also On-line shops. We have had no problems with these, the payment goes via Veri-Sign (or similar). Just check the little padlock on the screen! Beverages! They all contain water, some with a bit more than tea leaves! Here are links with connections to our travels and of reading of books. Just to let you know – in Sweden you can only buy alcohol (spirits) and wine at the “Systembolaget” (you are welcome to pop in on their home page, also available in English). It is very nice to be abroad and be able to buy bottles of the local wine in the grocery, to drink with a meal made from local ingredients in the vacation kitchen. Also as souvenirs and to enjoy them at home. But mind you, not too many from countries outside EU if you go home by air, or Big Brother will take them from you. Go by car and you can fill the vehicle with bottles from top to floor. We hope that some day the Swedes will be allowed to import some bottles of wine without trouble and without the authorities bothering about it. 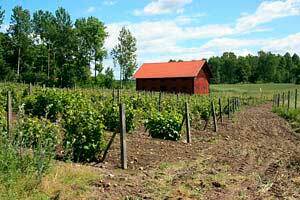 Wine sites of the world – and if you do not find your favourite, try Google-search. Browse a bookstore or a virtual book shop! Books about every beverage are available. Aqua vitae in gaelic is uisge baha, that is The Water of Life! Laphroaig Whisky – a bit hard to pronounce but if you like Single Malt, try! about Whisky and Whiskey (of numerous editions). Old goodies – still available! 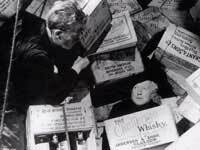 “Whisky Galore” by Compton Mackenzie. The film was made in 1947 but is still a good remedy on a rainy day! Perhaps with a wee dram handy, too. The film can be bought from Amazon sites. The book is still available, in old editions or new, search on the Amazon’s site, and you’ll get hits perhaps near you! In a second-hand book shop. The book is a nice gift to a Whisky fan instead of the traditional flowers. A bottle may be added and will be appreciated! 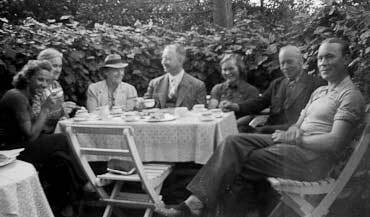 Cider is a beverage to enjoy a sunny afternoon in the garden with friends. The best Cider is often made in Great Britain or France. Dry! Try! 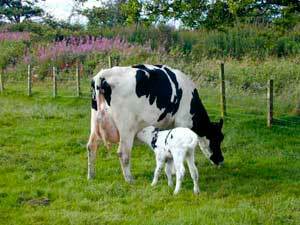 Hereford Cider, England – visit the museum (better than a virtual one) if you like cider. Dry! Chateau Breuil cidre, France – a cider château! Calvados Père Magloire – en trevlig sida med många ‘etiketter’ all klicka på till historia, tillverkning m.m. 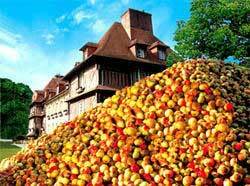 Calvados is also made from apples. Try it with dark chocolate! And Grappa, Cognac, Sherry (Pedro Ximenes), dark Rhum, … Also nice things to accompany chocolates! Chocolate of high quality is almost like medicine! Good for the heart the doctor says, and since the taste of exquisite, dark chocolate (65 – 70%) is so rich, you cannot eat so much so your waistline is endangered. When a real Master of Chocolate has touched the products the result is something you will never find in a Coop or supermarket or kiosks. Often the Master himself is a rather slender man! Chocolate must be healthy! Try some of these links if you love chocolate! Some are on-line-shops you can use if you cannot find those “black jewels” in your town. It is nice to taste products from many masters of chocolate, we love to get these on-line-special packages for birthdays or Christmas, but nowadays there are some very good Masters of Chocolate in Stockholm, too. Different specialties! 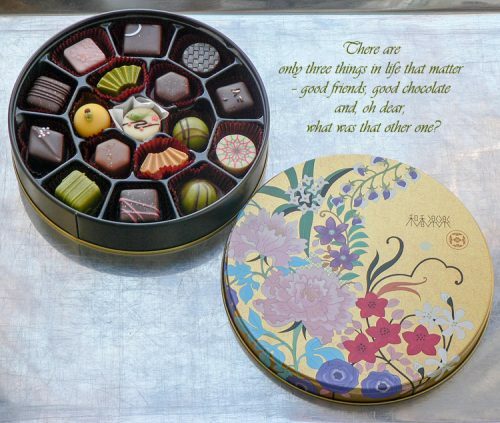 Lovely chocolates from all of them! If you visit the Stockholm area . . .
Robert Es choklad – A chocolate shop in Bromma, follow his opening hours at his Facebook page! Visit also Robert E’s Café & Chocolate shop at Skåninge gård, Ärla. A countryside place on an old farm. R.C. 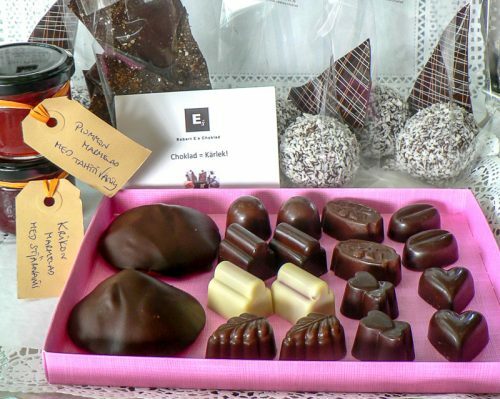 Chocolat – Sigtuna – not far from Stockholm, and this charming little town is well worth a visit. Rest your feet at this little Chocolaterie & Café, have a cup of fresh Espresso or Caffe machiato, a pastry, and taste a sample of their lovely homemade Ice cream! You’ll not regret it! The Austrian Willy Wonka aka Josef Zotter – According to an international chocolate test, Zotter ranks amongst the best chocolatiers in the world. 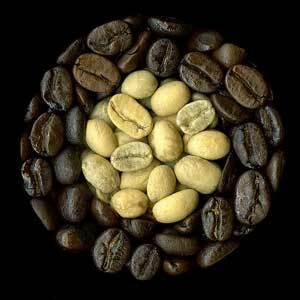 Organic, fairtrade and green “from Bean-to-Bar”, in many varieties and darkness. From white chocolate to 50% milkchocolate, up to dark 100%, and also examples of vegan bars, also bars made of milk from sheep and goats. Visit the Zotter Chocolate Catalogue 2018-19 pdf. 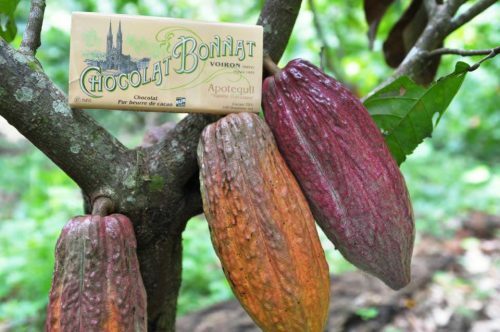 for all interesting examples of Theobroma cacao. 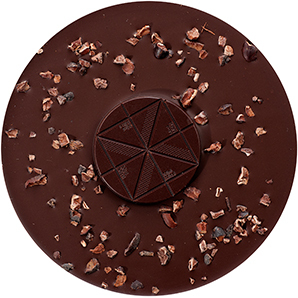 Maison Bonnat from France also have Fairtrade and Organic chocolates of a wonderful quality. Bars from many small farmers in their On-line shop. Olive oil of the best quality (virgin) is a treat and not to be used in making French Fries or Chips. 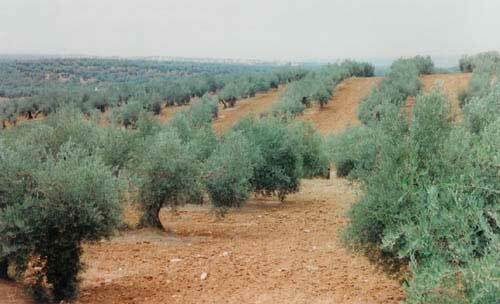 Olive oil newly pressed in November – December (Italy) is spicy, and green like fresh grass – smells like it too! 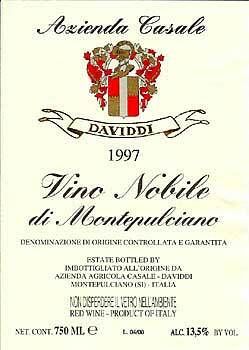 A peppery after taste, and to dip a piece of fresh bread (with a crust, please) in “Il Novello” is something we like. Have a try yourself! But it has to be NEW! Other olive oils are good for you, too, the doctors like the Mediterranean Kitchen! 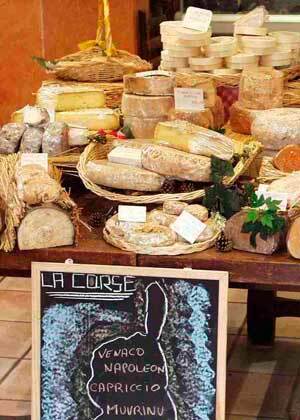 In Lyon, France, the chefs and house-wives combine olive oil with a knob of butter. A good idea because you can see and hear when the oil is hot and you get the aroma of the butter. Browse your shop for Virgin oil, but check the date of the pressing. To old and rancid oil of any kind is awful! There are certainly lots of web shops where you can buy olive oil. One we have tried is Italian tradition – italian olive oil and much else. Bread – something well worth talking about. We have collected links to some of our favourites, those who have a site of their own to look at and to “nibble” on. Some links have recipes! 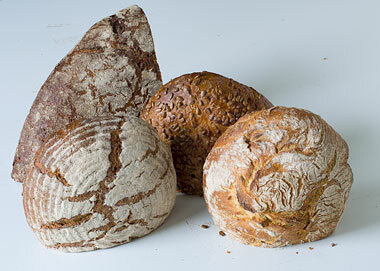 Perhaps you have heard of the bread of Poilâne in Paris but don´t know why it is so special. On that link you can learn everything about it, in French or English. 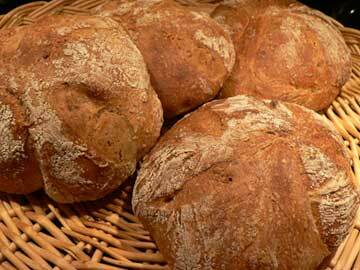 Some breads of M. Poilâne you can buy in Sweden sometimes (perhaps in your country too?) If you cannot buy it, do it yourself, it is easy to bake at home! Visit the bakery in the village if you are on vacation, or bake your own bread at home if you are not lucky to have a nice bakery nearby. “Riddarbageriet” in the street Riddargatan in Stockholm makes a kind of Poilâne’s bread and its bread recipe book is very good and useful if you like to bake and like bread with a brown and crispy c-r-u-s-t! Some shops have bake-offs but … the piece of dough supposed to become “French Country Bread” has only made a short visit in the oven and comes out as white as it was put in. No crispy and brown surface at all. Swedish Crisp Bread! Count Brahe’s from “Fiket” in Gränna, “Pyramidbageriet” in Dala-Järna, and from many small bakeries in Sweden are the best gifts ever to somebody who has lived in Sweden! To look at while your dough is rising! MuffinFilms – short movies with 12 tastes, don´t miss the Muffinale! The Staff in Far East hotels can be hard to understand when you order breakfast! “Kopi? Tendjewberrymud “. Note, that this is about tea, not herbal tea, which reallhy should be called herbal infusion, since it has nothing to do with tea from tea bushes. We are also not very fond of herbal tea, and likewise we do not much like those fllavoured teas with fanciful names. There are thousands of web sites about tea, its use and history, often beautifully designed. It is interesting to read about all those variations of this beverage, although they all come from the same plant species (in principle). They taste differently, depending on where and how it has grown, the plantation (altitude, climate …) the soil, and the treatment. Good tea can be compared with good wine. The descriptons of taste, scent and looks have a similar terminology. High Tea, Low Tea, The Rituals of Tea – well, what does it mean if a friend invites you to High Tea? Tea & Food – Serving tea with food – a pracitical advisor if you would like to serve tea with food. Nice, also if you want to offer something else than water to car drivers. Bienmanger – sells a wide variety of teas. 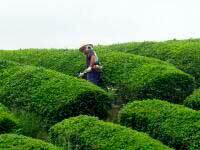 There we have read : “A regular consumption of green and black teas decreases cardio-vascular risks. This would be due to the polyphenols of tea. – Green tea is rich in vitamin C.– Black and green teas are rich in fluorine. Their regular consumption prevents from bad teeth.” Ask your dentist, who will confirm that this is true! Always a conversation topic – and this is only a tiny drop in the Cyber Sea!!!! Every country has its own papers. ELLE, Gourmet, etc – different tastes, different native kitchens! PARMIGIANO REGGIANO – THE Cheese! Allrecipes | Home – an American Encyclopedia in cooking, recipes from all over the world, very useful indeed! Measures and ingredients, seasonal feasts, hints and tip-offs etc.